In the aftermath of the 2016 election, the California State University, Los Angeles community has risen in support of undocumented students and in opposition to federal actions that jeopardize their future in the United States. 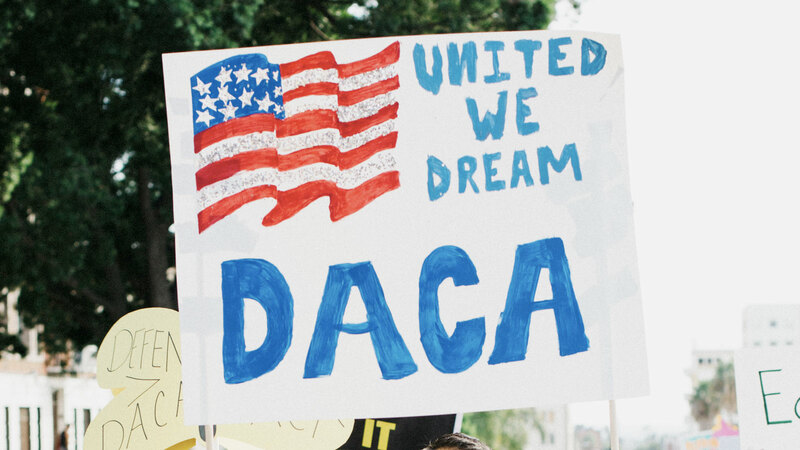 From students to senior administrators, the message has been clear: The program known as DACA, or Deferred Action for Childhood Arrivals, must be preserved. DACA shields from deportation students who may have been brought to the U.S. without authorization as children or who overstayed their visas. Nearly 800,000 DACA recipients, commonly referred to as Dreamers, have received approval to attend school and work legally in the country; more than 25 percent reside in California. Officials with the Department of Homeland Security announced the rescission of DACA on Sept. 5, 2017. The announcement shattered the hope that President Donald J. Trump would continue the program or provide DACA students with another means of remaining in the country legally. The fate of Dreamers now rests with Congress, which has until March 5, 2018, to act before the program expires. Cal State LA students have made their voices heard through protests on behalf of Dreamers. The Erika J. Glazer Family Dreamers Resource Center at Cal State LA offered UndocuAlly Training to faculty and staff to better support the needs of undocumented students. The sessions provided information on relevant immigration laws and educated participants about the needs of immigrant students and their families. The center also offered Know Your Rights workshops and other resources, including weekly counseling sessions for undocumented students. A University website is now dedicated to immigration news and resources. Among those who assisted the University in supporting undocumented students were faculty members Alex Espinoza, Enrique Ochoa and Alejandra Marchevsky, as well as staff members Luz Borjon and Steve Teixeira. Following the rescission announcement, Covino met with Dreamers to reiterate his support and concern, which were also expressed in University-wide messages in the fall. DACA students whose status or associated Employment Authorization Documents are due to expire prior to March 5, 2018, were required to submit a renewal application in October. The University assisted students by providing photography services and paying the application fee. The fees were paid using non-state, non-university funds. Covino joined educational leaders across the nation in signing a letter urging congressional leaders to pass legislation that protects Dreamers. The signing was organized by the American Council on Education in October. 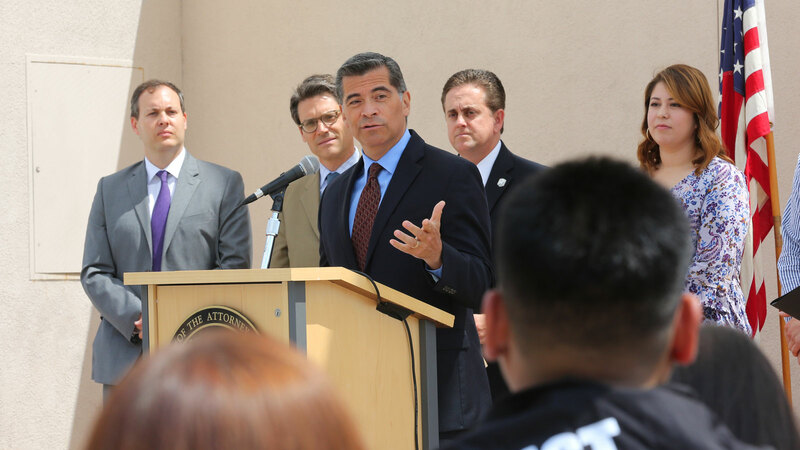 In the months before the announcement to phase out the program, Cal State LA Executive Vice President Jose A. Gomez and students joined California Attorney General Xavier Becerra in urging Trump to defend DACA. At a news conference at Cal State LA, Becerra announced that attorneys general from 20 states had signed a letter appealing to Trump. As of press time, Congress had not taken action to preserve DACA.